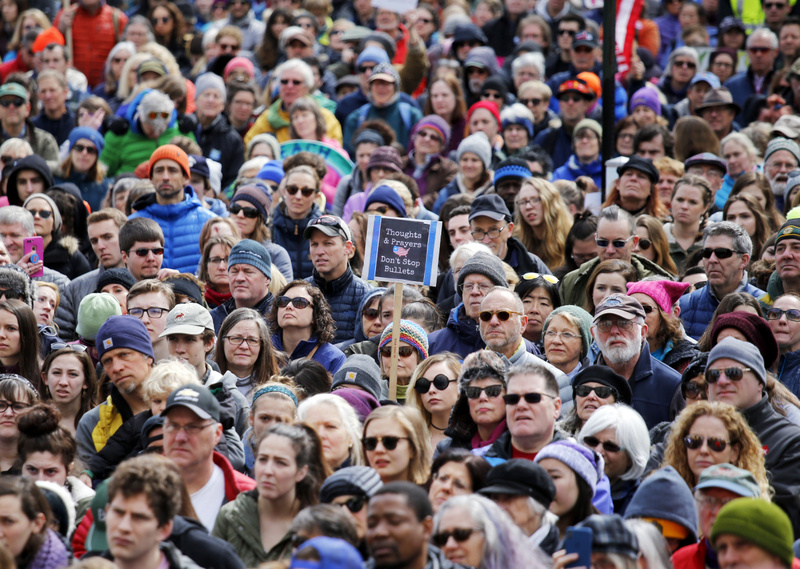 Thousands join in the #MarchForOurLives protest at City Hall in Portland. 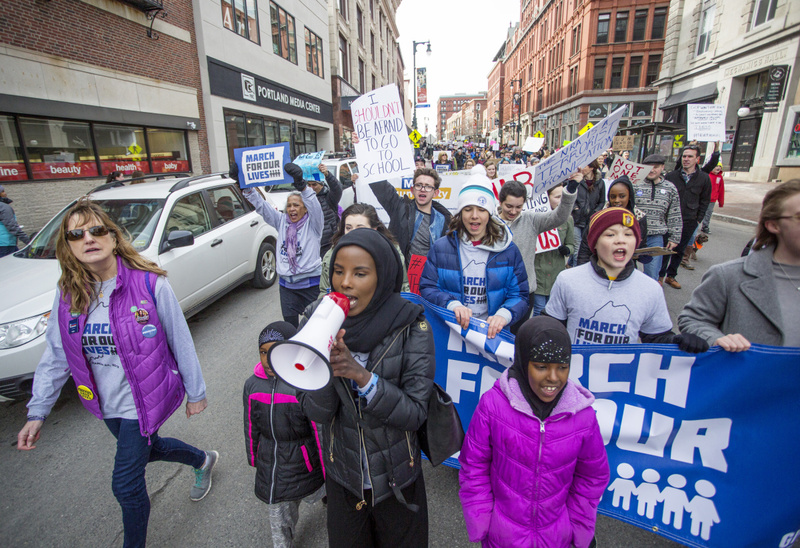 A group of students lead thousands along Congress Street in the #MarchForOurLives protest in Portland. 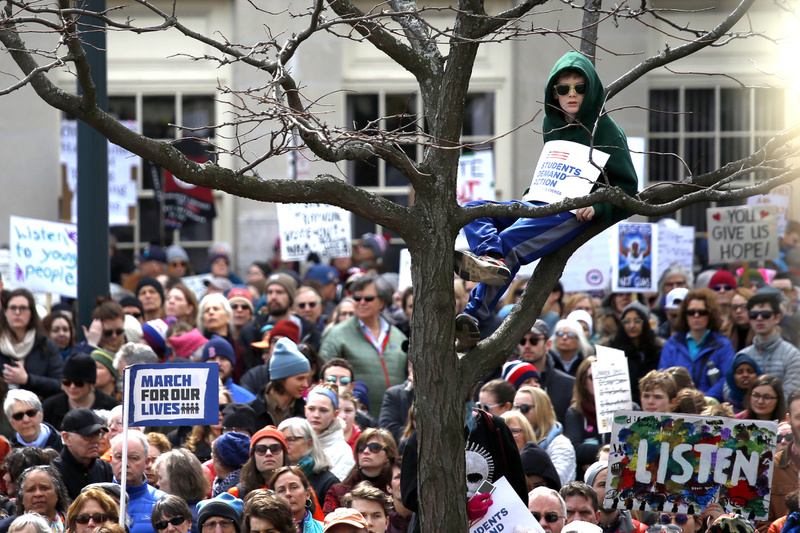 Seamus Devon, 12, of Portland climbed trees for a better vantage point before the march at Congress Square Park and here at City Hall Plaza. 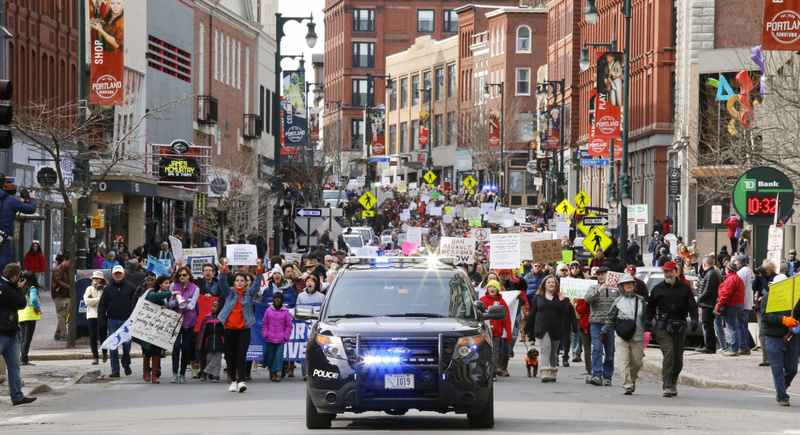 "I want to feel safe while walking to school," said the King Middle School sixth-grader. "I feel that if everyone would come out and march we could achieve it." 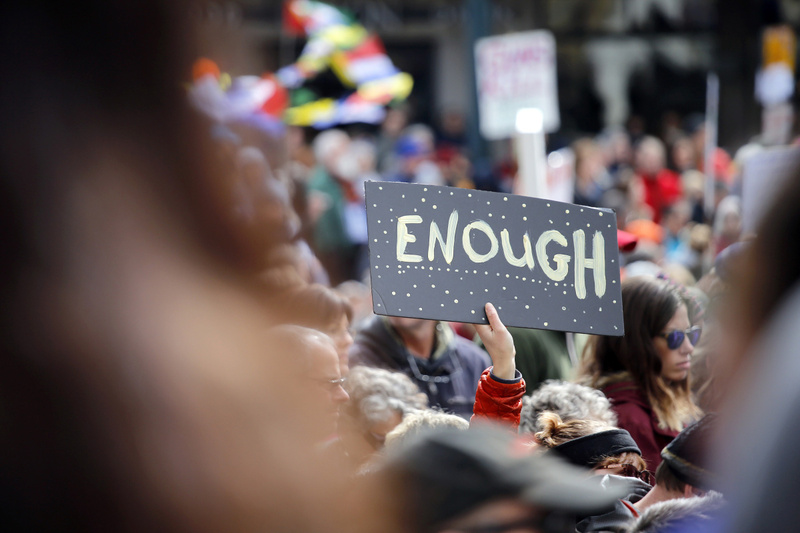 A woman holds a sign at City Hall during Portland's #MarchForOurLives event on Saturday, March 24. 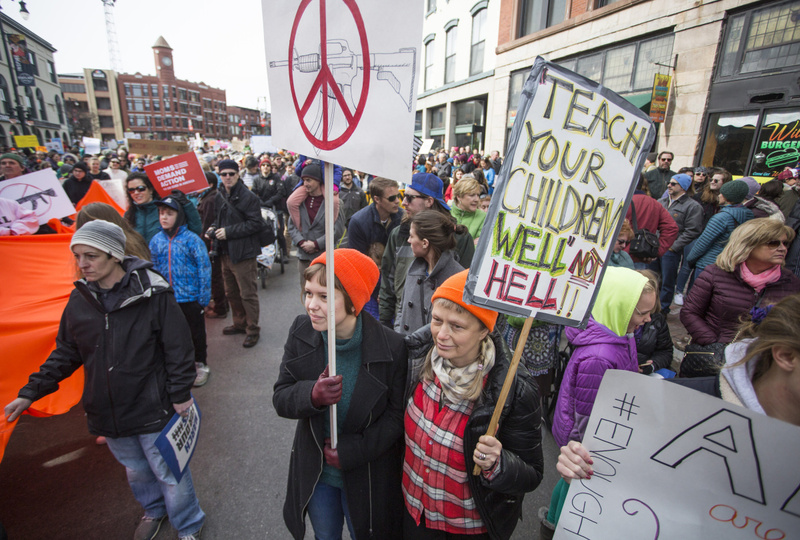 A protester's sign reads "Thoughs & prayers don't stop bullets" at Portland's #MarchForOurLives event on Saturday, March 24, 2018. 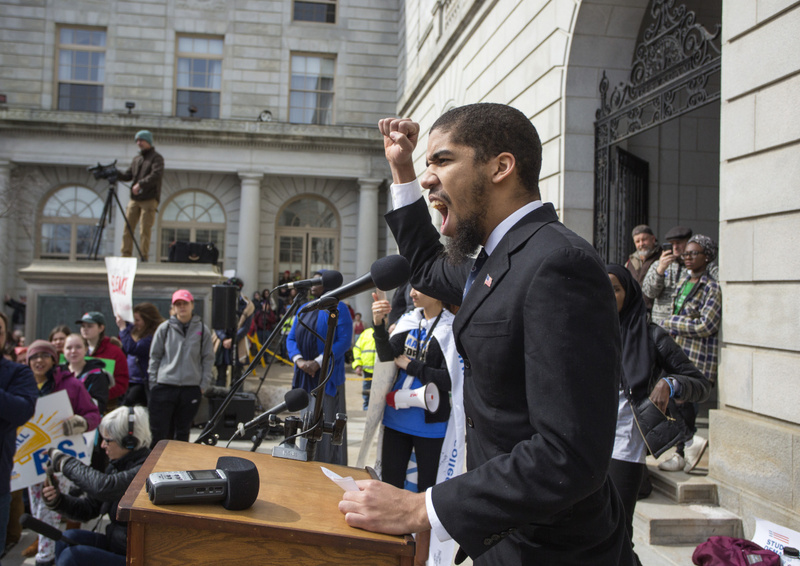 Shaman Kirkland, a student at University of Southern Maine, speaks during the #MarchForOurLives protest at City Hall in Portland. 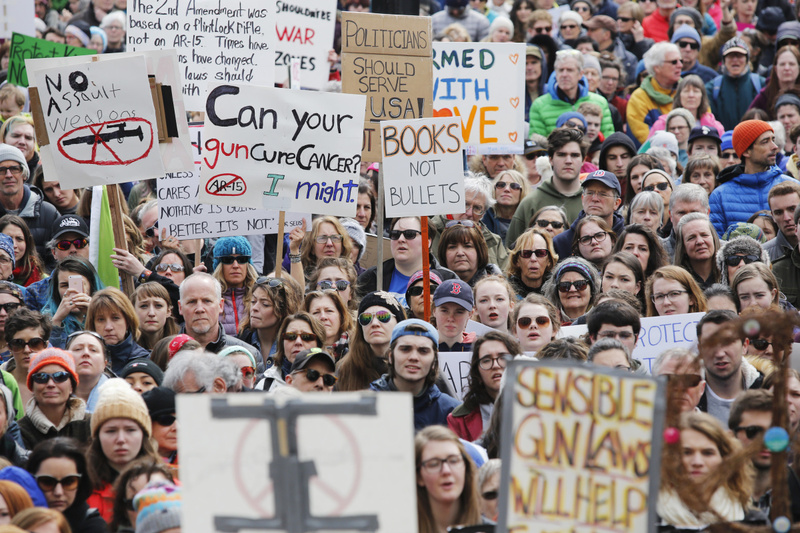 Thousands of people in Portland joined the nationwide #MarchForOurLives demonstrations, organized by the student survivors of the school shootings in Parkland, Florida, in February. 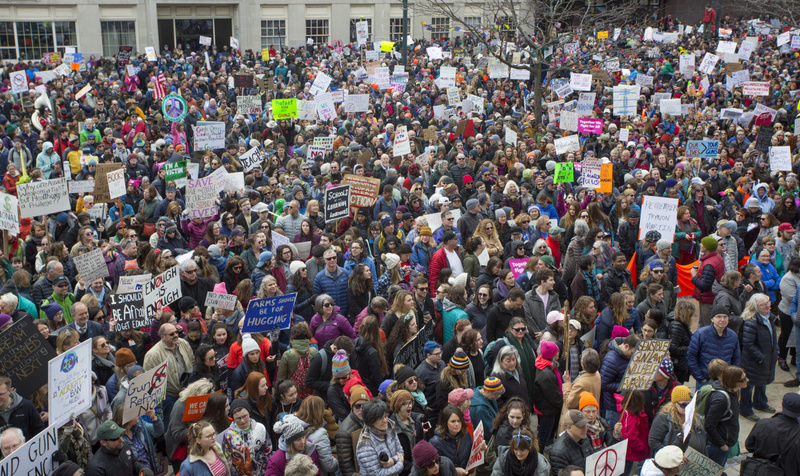 Portland's march began at Congress Square Park and ended at City Hall Plaza. 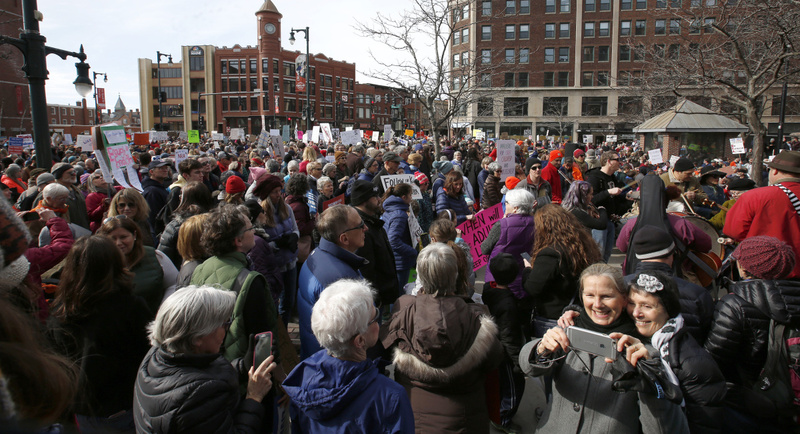 Thousands of people gathered at Congress Square Park to join the nationwide March for Our Lives event, organized by the student survivors of the school shootings in Parkland, Florida, in February. 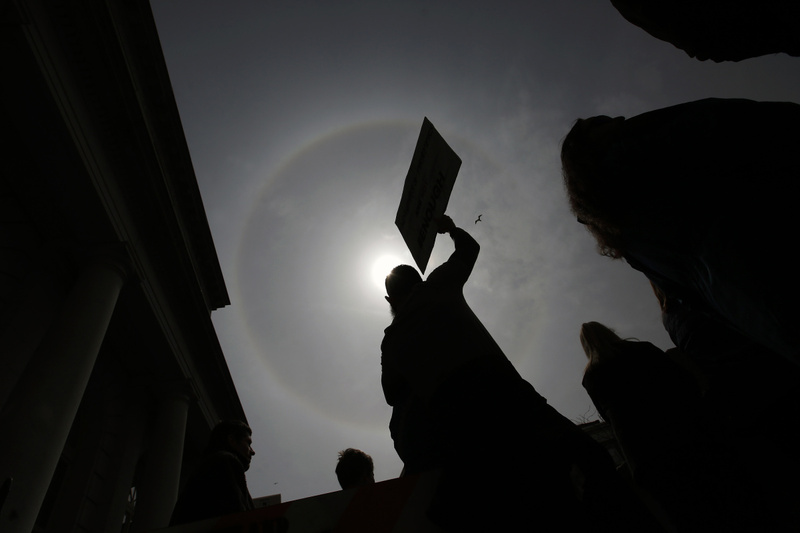 Protester Patrick Monica holds a sign at Portland City Hall with a sun dog looming overhead. 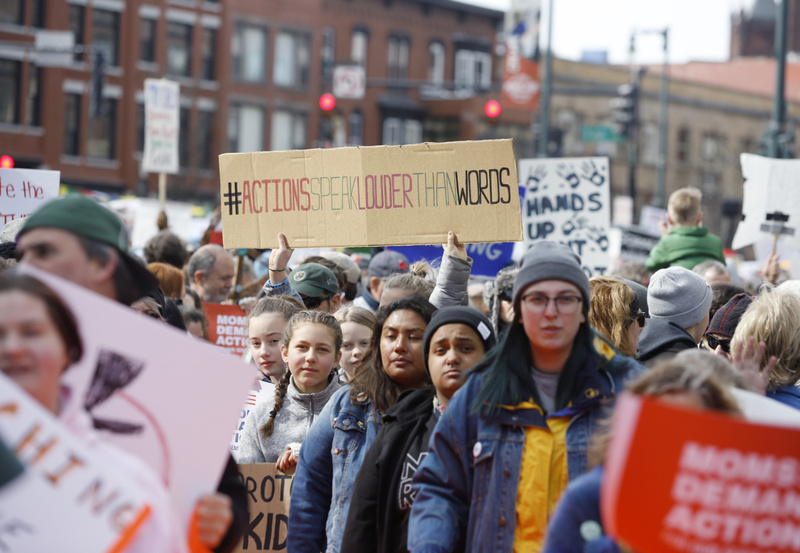 Thousands of people gathered downtown to join the nationwide #MarchForOurLives demonstrations, organized by the student survivors of the school shootings in Parkland, Florida, in February. 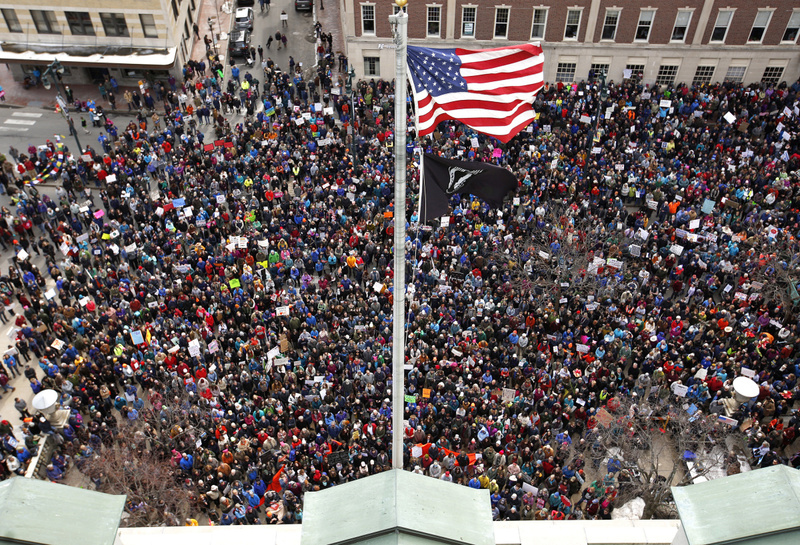 Thousands of marchers gathered at City Hall Plaza, as seen from this photo taken from the City Hall belltower. 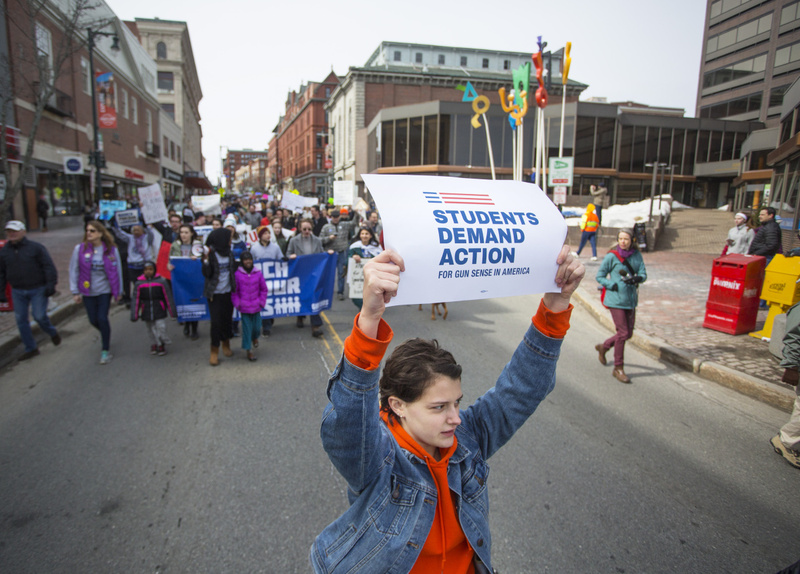 Portland took part in the nationwide March for Our Lives event, organized by the student survivors of the school shootings in Parkland, Florida, in February. 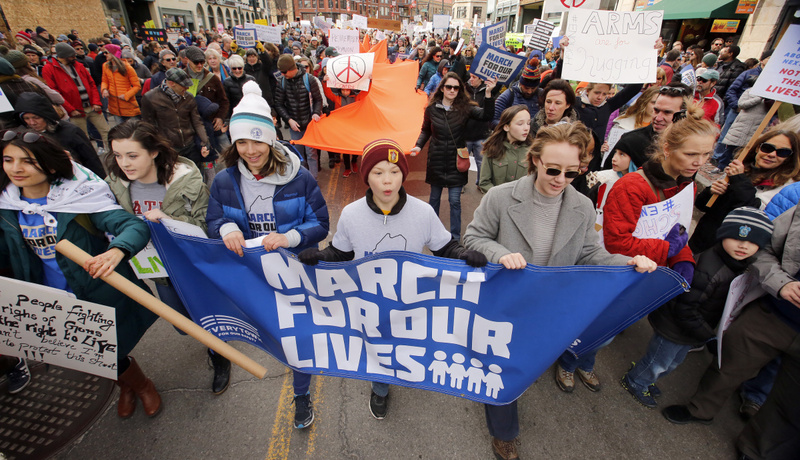 The #MarchForOurLives event, organized by the student survivors of the school shootings in Parkland, Florida, gets underway on Congress Street, near Congress Square Park, on Saturday morning, March 24, 2018. 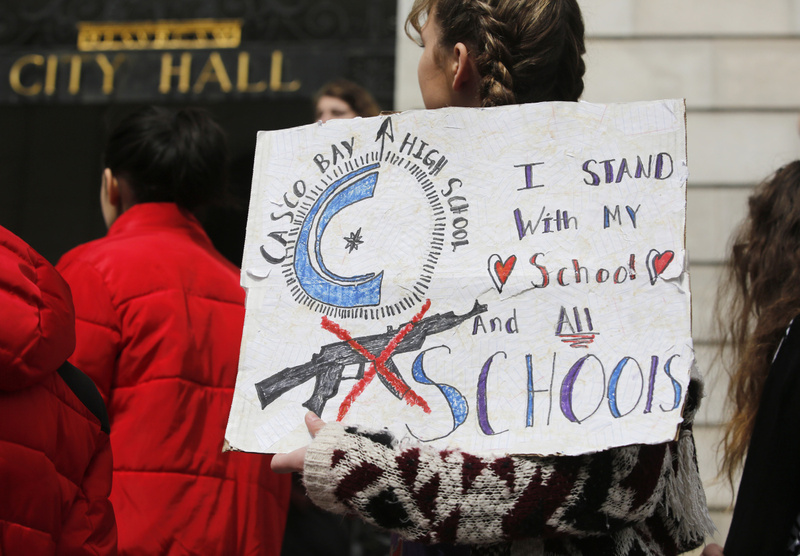 A Casco Bay High School student holds a sign as thousands join in the #MarchForOurLives protest at City Hall in Portland. 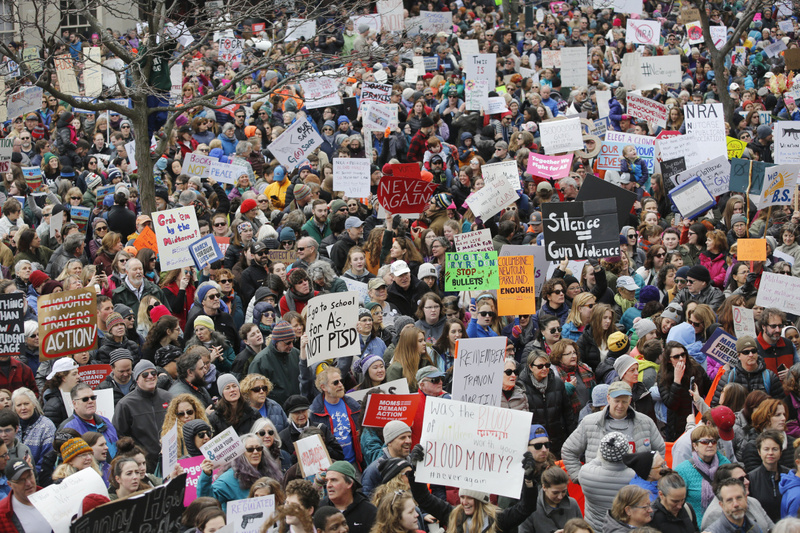 Thousands join in the #MarchForOurLives protest in Portland. 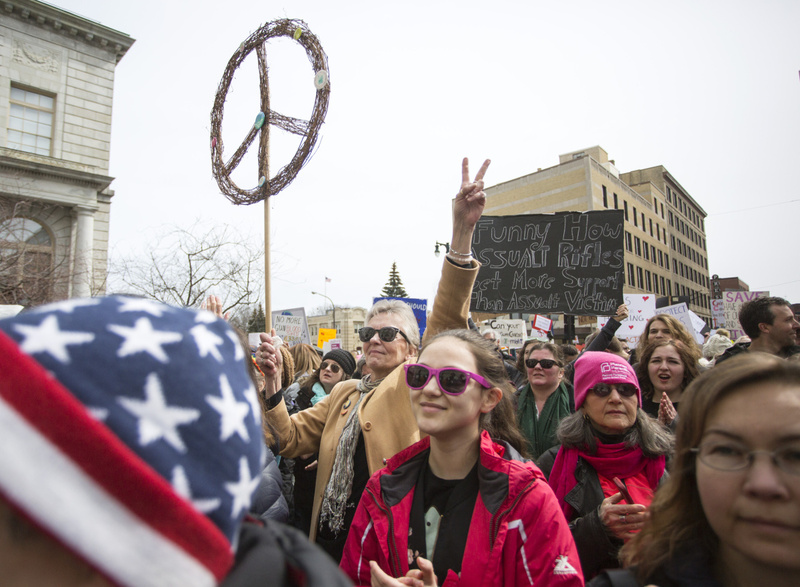 Marcie Oechslie of Portland raises peace signs while joining thousands in the #MarchForOurLives protest at City Hall in Portland. Hannah Smart, 13, a student at King Middle School, holds a sign as she joins thousands in the #MarchForOurLives protest at City Hall in Portland. 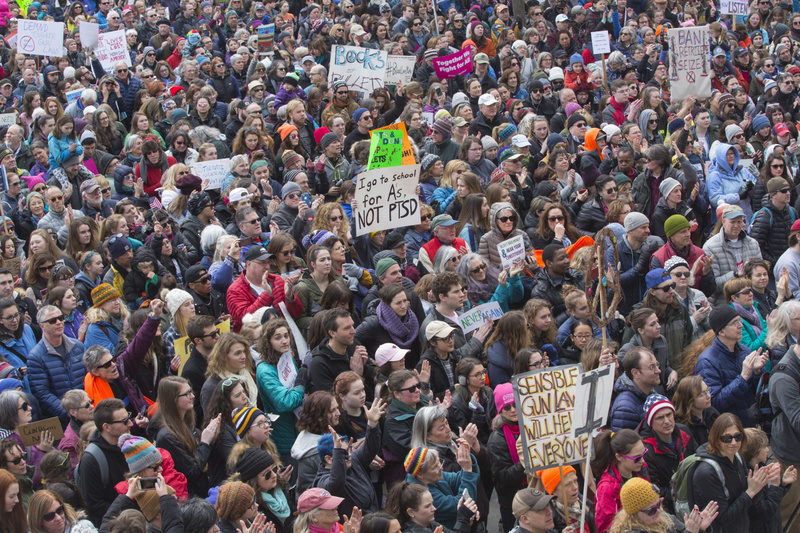 Katy Sawicki, 15, of Freeport joins thousands in the #MarchForOurLives protest in Portland. 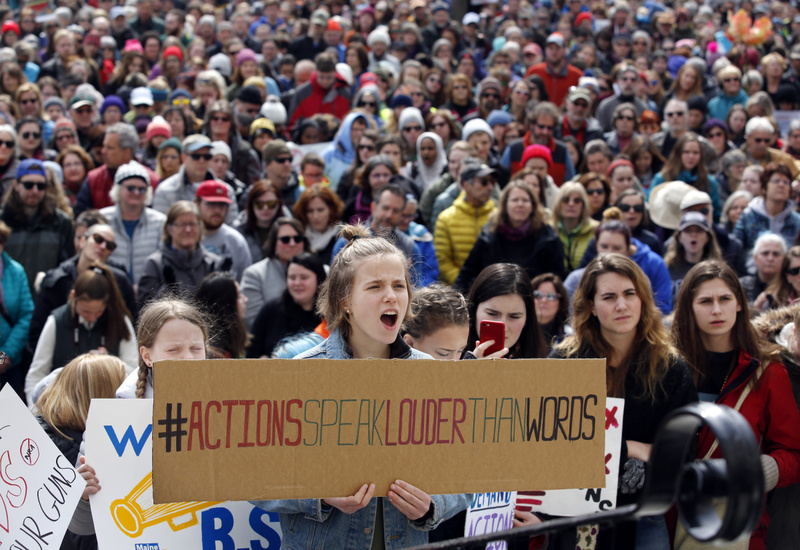 Jennifer Fitzpatrick and her daughter Rhea, 16, of Freeport join thousands in the #MarchForOurLives protest in Portland on Saturday. Rhea read a poem later on the steps of City Hall. Jennifer said the orange hats they wore symbolized that they were not against hunters using guns.